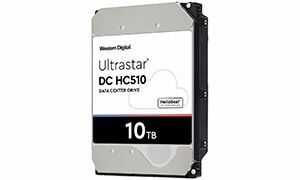 known as Ultrastar He10 and part of our HC500 series of helium-filled hard drives. reliability and more value to your data center. implementations given its massive capacity and industry-leading reliability rating. unauthorized use, including a new option for TCG support on some SATA models. environments for data to thrive.